Sizes reduces the time it takes to evaluate all of our apps possible device sizes, orientations and font combinations. With Sizes we'll avoid launching all the supported devices simulator, running our app and navigating through each screen manually which not only takes a lot of time but its also highly error prone since we sometimes forget to test one particular combination and we ship a screen with a layout bug to the App Store. To run the demo project, clone the repo and run Sizes target. Sizes require you to use Auto Layout in order to update the UI correctly with each change. 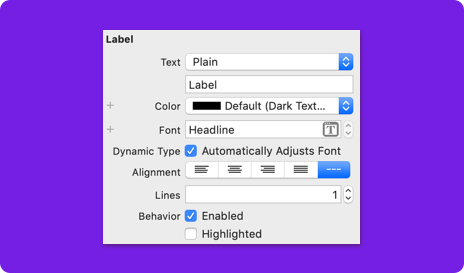 For font updates you'll need to use Dynamic Type. In order to use Sizes you'll need to make your AppDelegate's rootViewController an instance of SizesViewController and contain the apps first view controller. ⚠️ This might not be the ideal solution for all cases since it will require you to set the root view controller manually. Or if you're accessing the apps root view controller from many places this approach will clash with it. I'm open to exploring new solutions to this issue + ways of setting this up on Storyboards. Custom Shimmer UI Effects with swift.